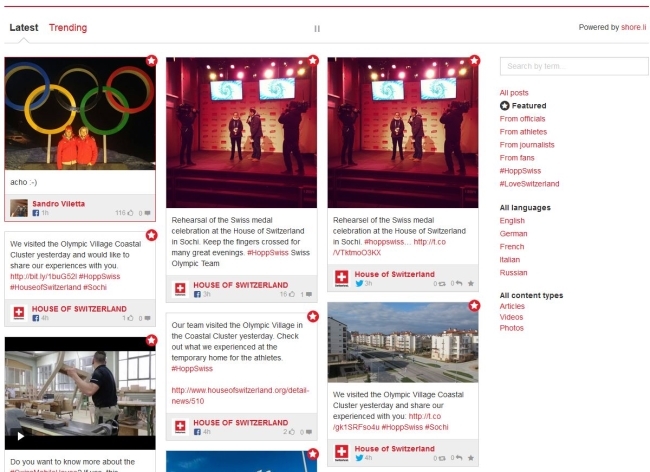 Don’t miss the Swiss: The Swiss Federal Department of Foreign Affairs revealed its social initiative for the 2014 Winter Olympic Games in Sochi, Russia: the Social Media Newsroom. 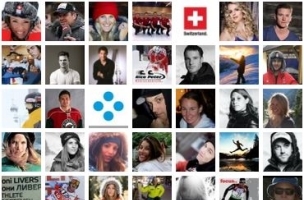 By source (officials, athletes, journalists, fans, or hashtags #HoppSwiss and #LoveSwitzerland). By language (English, German, French, Italian, Russian). By content type (articles, videos, or photos). Social Media Newsroom users can select and customize widgets to display on their websites or blogs. Readers: Would you like to see how other countries participating in the 2014 Winter Olympic Games are handling their social media efforts?